I’m always intrigued by a PA film because I know there’s a story there – albeit a thin one, saved later for extra sequels – and I’m interested in hearing it. But I sat there in a crowded cinema full of teenagers that felt the need to talk loudly – and I felt something different. Why? Because it was just lazily done for the most part. It’s all executed so unimaginatively – and as a horror fan who can see the potential to squeeze every drop of atmosphere out of these fantastical surroundings, it’s just really, really disheartening. I sighed a lot – not one scare I didn’t see coming. Not one. I wanted to be shaken. Now, there is a lot of really cool moments and story threads thrown amongst the dullness. 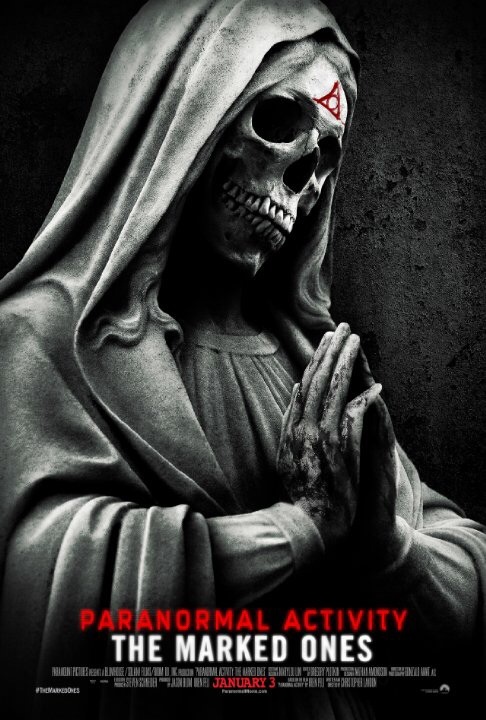 The Marked Ones expands the mythology and gives us a few more answers and over all, I really enjoyed the change in setting and new likeable cast of characters. The cast, the cinematography, the mythology – I liked all of that stuff. It kept things interesting and a little fresh. There’s some camera movement that is quite effective here in sequences and the young cast are all solid. Yet, the execution of the scares – the key element of the piece – is underwhelming and if studios persist on churning out sequels, they need to think outside of the box when it comes to scares. The audience is wiser now. You have to come up with different tricks. Sadly, I feel the audience is going to go unheard. As long as a $5 million flick rakes in big money, there’s a market for it. So is it worth your time? I still enjoy the story developments and enjoyed this setting so I’d say yes! If you’re a fan, you’ll want to see some of the stuff that’s in here. It’s better than the fourth instalment – this rests somewhere between films three and four for me – but it’s mostly lacking some imagination that could’ve lifted the film significantly.